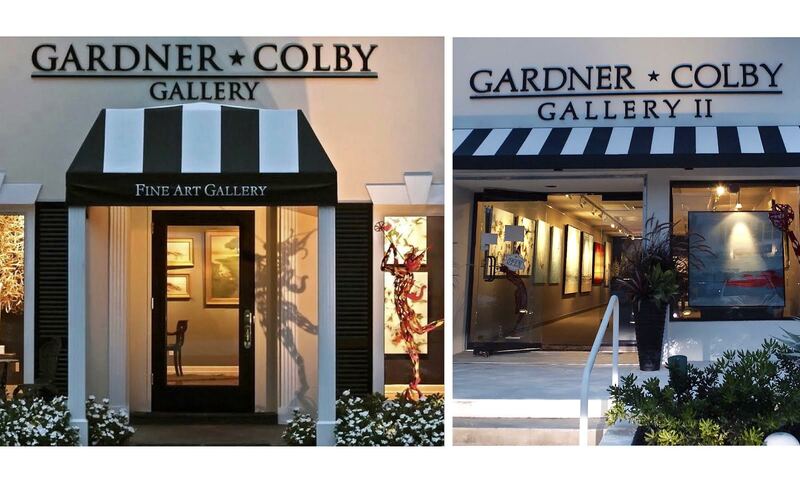 The two showrooms of Gardner Colby Galleries are located across the street from one another at 386 and 365 Broad Avenue South, 'Gallery Row', in the Third Street South shopping district of Naples , FL. 11 am to 5 pm, or by appointment any time. If you need an appointment, or information during non-business hours please call (239) 821 3214. Thank you for your interest in being represented by Gardner Colby Gallery. Before you submit your work, please view the art on our website or visit our gallery and ask yourself "Would my work be a good fit here?” While our collection is an eclectic mix of Abstract, Transitional and Contemporary, the common factor is that each artist is truly exceptional. If the answer to the question is yes, then please fill out this form with a link to your website, along with a short note telling us a little bit about who you are and what you do. You may also email us images, in jpeg format, in lieu of the website link. (our email: [email protected] Please also include sizes, retail prices and indicate if the work is framed (if so how) or unframed. Please do not come into the gallery and expect to meet with someone without an appointment! We try earnestly to respond to each inquiry we receive. Do keep in mind that in high season (January - April), it could take a while for us to repond.